Are you heading for computer burnout? While computers can bring so much to our lives, they can also be fiendishly addictive, and free software makes them even more compelling. Open source makes computers so much fun, exposing our world to a global community of people like us who work together to make our computers better. Many of us join this global community, and many of us spend every waking moment thinking about, enjoying, and contributing to open source. It's fun, rewarding, and energising, but it can sometimes come at a cost – burnout. Burnout is a problem that affects all walks of life, all people, and all professions. As such, it is a problem that affects all communities, and ours is no different. Burnout refers to long-term exhaustion that typically causes lack of interest and focus. Unfortunately it can be devilishly difficult to spot and prevent in our community. 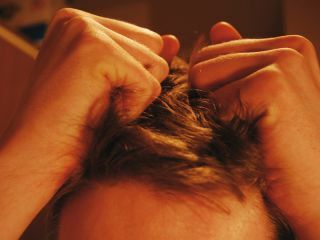 Burnout appears as a series of often subtle changes in personality, perspective, values, and behaviour in the sufferer. As these changes progress, it can be difficult to identify that members are suffering from burnout. Unfortunately, burnout is often misdiagnosed as irrationality, short temperament, unusual behaviour or lack of tolerance. While burnout syndrome is difficult to identify categorically, there is some compelling research. Two psychologists, Herbert Freudenberger and Gail North identified 12 phases that outline the progressively serious steps that are part of burnout; this is known as the Burnout Cycle. These steps don't necessarily happen in a sequential order (it can vary from person to person), and some sufferers will skip some of the steps whereas some will dwell longer on them. These steps offer a list of warning signs for potential burnout victims. Let's take a look through the 12 parts of the burnout cycle. As you read this list, remember that these steps are just guidance. I am not a doctor, so you should seek medical attention if you have any questions or worries about these steps. Secondly, remember that not all of these steps affect everyone, and they don't always happen in this order. Burnout typically begins with a tendency to want to prove yourself. This often stems from a feeling of insecurity that your work is not being respected or valued. When this happens, the burnout sufferer will often try to compensate for it and try to prove themself. Working long hours is a common sign of the first stages of burnout. With an existing feeling that you need to prove yourself to others, a natural conclusion is that you will work harder, work longer, and provide more and more visible examples of your success to others. In these cases it is not uncommon to stay late at work, or in the case of open source contributions, work later and later. You will often find yourself awake late at night, possibly working until two or three o'clock in the morning under the belief that more will make you feel better and prove your value. In this stage, simple pleasures such as sleeping, eating, socialising with friends and watching Seinfeld are seen as just that: pleasures, and as such a distraction from work. In this situation your desire to prove yourself is strong and your top priority is to find ways of working more and more. As such, you will find it easier and easier to say no to people who want to spend time with you, and you will find it easier to find reasons to work. Late nights and early mornings will be common, and the lack of sleep will result in an increased caffeine intake and tiredness and irritability during the day. It is also likely that you will be eating junk food, as it is quick and convenient and your tiredness will make cooking seem like more of a chore than it is. At this stage some friends and family are likely to notice that something is up with you, and may have asked what is wrong. In this early stage of the burnout cycle you will be firmly of the belief that nothing is wrong, and that friends and family are just being overly analytical. You will shrug it off and suggest that you just have a lot on your plate. In this phase, the obsession with work means that traditional values such as friends or hobbies are pushed aside. Here your only evaluation of success is being good at your job. This is a dangerous part of the cycle, as you are actively starting to distance yourself from your friends. You will not see social interactions and time with your family as things to be proud of and rewarding parts of your life, but instead continued distractions that get in the way of feeling rewards from the work you are doing. You will find yourself making excuses to work more often. Evenings and weekends will be taken up with work, and your friends will stop asking you to spend time with them as you are always saying no. In this phase, cynicism, intolerance, and aggression raise their ugly heads. Colleagues are dismissed as idiots. Your increasing problems are blamed on lack of time, incompetent coworkers, and unfair workloads. You are tired from the lack of sleep, you are probably pretty unhealthy from all the pizza and caffeine, you the pressure to prove yourself causing you to feel sorry for yourself and that other people don't understand the pressure and stress you are under. You are increasingly lashing out and snapping at people, and will find yourself causing arguments and finding it difficult to apologise. Life is feeling rather stressed at stage six. You reduce your social interaction and contacts to a minimum and dial up your work to 11. You are at a point where relief from the feeling of burnout is becoming more and more important. You may start to relieve the stress by boozing more often during the week or possibly even resorting to drugs. Whatever your choice of substance, you appear to be indulging in it a little more than usual –and dangerously so. Your strange and erratic behaviour is obvious to your friends, family, and colleagues. You are not yourself, and your nearest and dearest can see it a mile off. You even more physically exhausted, and you are likely to be experiencing some health problems such as headaches, skin problems and low energy. Your personal relationships are under a lot of pressure and you will start to feel increasingly depressed, particularly when you are alone at night. At this point you feel like you offer no value to the world, and lack confidence in what you could once do. Your life feels like one long series of mechanical and emotionless functions. The previous desire to demonstrate your worth will be decreasing; you just feel like you are going from one step to another. You feel an express sense of emptiness. You resort more to booze or drugs or possibly find relief in overeating, strange and exaggerated sexual behaviour, or other unusual and destructive activities. You are feeling more and more depressed. At this late stage of the burnout cycle you feel hopeless, lost, and exhausted, and see little cause for optimism for the future. At this, the most serious level, you feel suicidal and desperate for a way out. You are on the verge of mental and physical collapse and need medical attention. Current page: Are you heading for computer burnout?